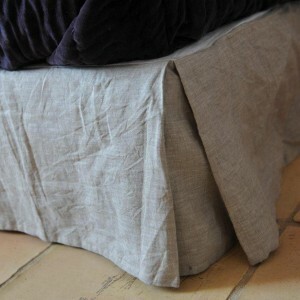 This bed base cover is made from natural washed linen on all four sides, with a flat crease at the four corners and a white cotton flat section. 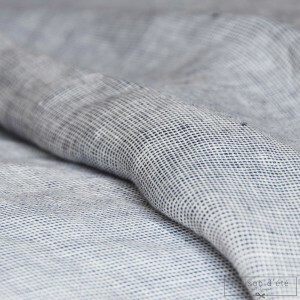 To be mastched with our washed linen comforter cover or washed linen flat sheets for a very elegant bed set. Machine wash at 30 °C maximum, use a delicates detergent. J'ai mis du temps à trouver un cache sommier. 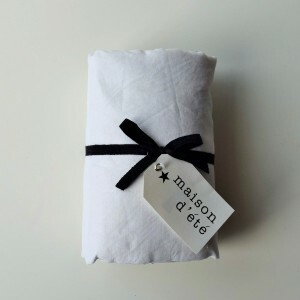 Je suis très contente, exactement ce dont j'avais besoin.